Indexes in SQL are an important part of the language. But why is that? What are Oracle SQL indexes? And why should you know about them? I’ll cover all of that in this guide. I’ll also show you the different types of indexes, and share many different sites that have examples and further information on indexes. Because this is a long guide, I’ve created an easy-to-use table of contents. Simply click on any of the links below to be taken to that section on the page. Have you ever looked at a big book, like a textbook, and tried to look for a specific topic? Let’s say you have a textbook on the history of human civilisation, and you wanted to find the section on Julius Caesar. You might have some idea of what page this topic is discussed. It was in the Roman times, so it might be somewhere in the middle of the book? You flip somewhere to the middle and look for it, and keep scanning pages until you find it mentioned. Or, you read the entire book looking for information on this one topic. You would start at page 1 which discusses the start of human evolution, and read every page until you get to the current year. Well, that would take a while so you probably wouldn’t do it. But we can agree it’s not a very efficient way of finding what you need. Reading every page until you find the topic you’re looking for is equivalent to Oracle’s method of finding specific records in a table. When you run a query, Oracle looks through every record in the table to find the records you need. Unless… you have an index. Let’s go back to our textbook example. Let’s say this textbook had a section at the very end of the book called Index. It listed all of the topics that were covered in the book. This shows the topic, as well as the specific page numbers where this topic is mentioned. Now, all you need to do is turn to those page numbers and learn more about Julius Caesar. This is the same way that indexes work in Oracle (and other SQL databases). So what is an index in Oracle SQL? An index is an object in the database that allows you to find specific data in a table faster. Like the index section in a book, they take up a bit more space, but the benefits that they bring are often worth it. Also, like in a book, indexes work best when you have a specific term to search for. You don’t need to ask Oracle to use an index if it’s already there. Most of the time, Oracle will work out that it needs to use it. Easily Know When to Create an Index with the "Index Creation Flowchart"
Why Should Developers Know About Indexes? So, as a developer, why do you need to know about indexes? But you’ll need your queries to run as fast as you can. Whether you’re an ETL developer working on populating and improving a data warehouse, an application developer working on creating new software, or anything else, you’ll want your queries to be fast. 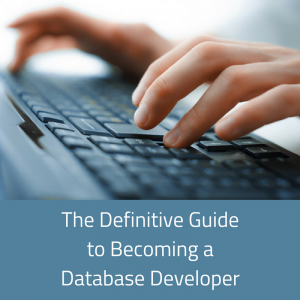 As a developer, you’re in the best position to understand what your needs are and what the data requirements are. Understanding what an index does can really improve your knowledge of the database and the performance of the query and application. What Types of Indexes Are There? I’ll explain what these index types are later in this guide. What Privileges Do I Need to Create Indexes? The most common type of Oracle SQL index is a b-tree index. It’s also the “default” index type, or the type of index that is created if you don’t add any modifiers to the statement (which we’ll look at shortly). B-tree stands for “balanced tree”. It’s called “balanced” because it can access all elements with the same number of steps. It’s called a tree because of the way the index is used by Oracle. It works like a tree with branches and leaves. Let’s say we’re looking for a record in a table with a specific ID value of 109. The ID is a column in this table and it has a b-tree index on it. Look at the first level of the index. Find the entry, or node on this level, that covers the value of “B”. There is only one here (the “A” at the top). Move to the second level of the index that comes from the first level identified in the previous step. Find the entry, or node, that includes the value of “B” in its range. In the example above, we have two nodes on the second level: “A” and “N”. “A” covers the values starting with “A” and ending with “M”, because the next value is “N”. “N” covers the range of values from “N” to “Z”. It’s a simple example, and real values would be more complicated, but it demonstrates that the possible values (A to Z) are split between A-M and N-Z. Move to the third level of the index that was identified in the previous step. Find the entry, or node, that includes the value of “B” in its range. The nodes are labelled here as A, G, N, and R. Which one is it? It’s the “A” node, because that covers the range of “A” to the just before next node (value of G) which means it ends at “H”. Find the record that matches ID “B” and return that record. As you can see, there is a repeating sequence of “look in the range of values” and “go to the next level”. This is repeated for the number of levels in the index. In most indexes, even those with millions of records, there is usually less than five levels. So I’ve just explained how they work. But how do you create a b-tree index in Oracle? index_name: The name of the new index you’re creating, which must be a unique name. table_name: The name of the table you want to create the index for. columns: A single column name, or a comma-separated list of the columns you want to create the index on. The index name needs to be unique and can be up to 30 characters. Also, while it’s not required, I like to name the indexes I create with a prefix and a descriptive name, so I know more about the index by just looking at the name. I start with the letters “idx”, then underscore, then the name of the table (or a shorthand version of it, if it’s too long), then another underscore, then the name of the column or columns (or a shortened version). This would create an index on the ID column in the employee table, and the index would be called idx_emp_id. I could tell by looking at the name that it’s an index, on the employee table, and on the ID column. It’s a b-tree index, as that’s the default index type in Oracle. Later in this article, I’ll explain when you should create a b-tree index over other index types. Another type of index in Oracle is a bitmap index. A bitmap index looks like a two-dimensional “map” or table of values. Each row is a separate ROWID, the unique identifier for the row. Each column relates to a separate value of a specific column. And the intersection of rows and columns is a single bit, which indicates that the specific ROWID has a value in that column. An employee table may have a column called gender, and the two values that may exist in this table are “M” or “F”. You can see that each ROWID is listed down the left in the first column. The next column then shows the first possible value for the gender column, which is “M”. In this column, any rows in the table (as identified by their ROWID) that have a gender value that matches this column header (a value of “M”) will have a “bit” or a 1 in this column. For the next column, the header of the column is the next value of the gender column, which is “F”. The same logic is then applied – any ROWID that has a gender value of F has a bit or value of 1 in this column. So, this bitmap index is then used to improve the performance of any queries on this table. There’s no guarantee that this index will be used though. As you might have guessed, the more possible values in the column being index, the more “columns” in the bitmap index, and the larger the index will be, meaning it will be less effective. Let’s take a look at the syntax and an example of creating bitmap indexes in SQL. Keyword BITMAP: The only difference in syntax between this index and a “normal” b-tree index is the word BITMAP in the syntax. It comes after CREATE and before INDEX. columns: A comma-separated list of the columns you want to create the index on. As mentioned earlier, the index name must be unique and up to 30 characters. I also like to follow a certain format when naming my indexes. If your organisation has a format, I suggest following it as well. Let’s take a look at an example of a bitmap index. I’ll use the gender column that I mentioned earlier. This creates a new bitmap index on the employee table on the gender column. A function-based index is one that is created on the results of a function or expression. How is that different from a b-tree index? Well, it’s because a b-tree index on a column is not used if the query performs a function on that column. If a function-based index is created on the same function that the query uses, then the index will likely be used in the optimisation. To find the monthly salary, I divided the annual salary by 12. Now, let’s say I have no indexes on this table. I can run the query and it will work, but it might be slow. For this example, let’s say I want to create an index on it. I see it’s using the order_date in the WHERE clause, so I create a b-tree index on this column. I can run the SELECT query again. But it will still be slow. The index I created won’t be used. It’s because the index is on the annual_salary column, and the value being compared against in the QUERY is actually the result of (annual_salary / 12). Even though no function has been applied, it still performs some mathematical function or modification on the values. This is where the function-based index comes in. I can create function-based indexes in SQL in a similar way to creating a b-tree index (I can also create a function-based index as a bitmap index, which I’ll get to shortly). To create a function-based index, simply use your function (or expression) inside the INDEX definition. This works the same as a b-tree index, except we add in a function. A new index is created. Now, let’s run our original query. This query should now use the index we have just created. Why Create a Function-Based Index? Comparing strings using the same case using UPPER or LOWER on string columns for case-insensitive searches. Limiting data based on a specific date component (e.g. all data for a single month). There are alternative ways to do this, that may involve partitioning or a BETWEEN keyword. Consider any function you’re using in the WHERE clause of your queries as a possibility of creating an index. But indexes are not a “silver bullet” for performance. I’ll explain more on this later in this article. 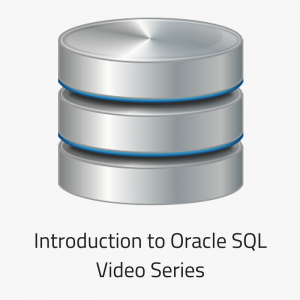 There are several other types of indexes in Oracle SQL, which I’ll discuss briefly here. While you might not use them that often (if at all), it can be good to at least know what they are. A reverse key index is similar to a standard b-tree index, except the bytes that the index are stored as are reversed. This means that inserts are spread out over several database blocks. A b-tree index is stored so that it can be quickly traversed in ascending or descending order. A descending index is an index on multiple columns, where one or more of those columns are sorted in descending order compared to the other columns. It’s an index that is not used very often. A bitmap join index is a bitmap index on the join of two tables. For each row that exists in one column, the index will store the rowid of the related row in the other table. They can sometimes be more efficient than materialised views. This index is created by a user for data in an application-specific domain, such as image processing. We’ve now learned a few of the main index types, and how to create them. Now let’s learn how they are used when running queries. This is important to know if you’re trying to tune your queries (improve the performance of them). In Oracle index scanning is where Oracle retrieves the information it needs for a row from the index instead of the table. Reading data from an index is usually faster than reading data from a table. So, if Oracle can read the data faster from the index than from the table, it will do so. This is essentially how indexes are able to perform better than reading from tables. There are several different types of index scans. I’ll explain what they are. But how do you see what type of index scan you’re using? So, that’s how you can see what type of index scan is being used. Let’s take a look at what the different index scans are, and what they mean. This table summarises the different index scanning methods. I’ll go into detail on them in a moment. What is a “index full scan”? A full index scan, or index full scan, is where the Oracle database reads the entire index in order. It can also eliminate sorting, because the data in the index is ordered by the index key. The table has an index on the first_name and last_name columns, and the first_name column has a NOT NULL constraint on it. To find the data for this query, the database will perform a full scan of the index in sorted order. This is often faster than querying the table. What is a “index fast full scan”? Actually, it’s where the database reads the data in the index without accessing the table, and in no particular order. A row containing all NULL values must not appear in the query result set. This means a column in the index must have either a NOT NULL constraint, or a predicate applied that prevents NULLs from being considered. Notice that there is no ORDER BY clause. Also, let’s assume that there is an index on column first_name. When running this query, the Oracle database will scan the index for the required values, rather than reading the table. What is an “index range scan”? An index range scan is where the index is scanned in order. It can be used where a WHERE clause is used in a query, and there are multiple records in the table that match each value of the column in the WHERE clause. This query may use an index range scan if there is more than one record that matches each of those first names in the table. What is an “index unique scan”? An index unique scan is similar to an index range scan. However, each index key must have either 0 or 1 table rows (ROWIDs) associated with it. In other words, it’s a scan that is performed on indexes that have unique values. It stops processing after it finds the first record, because it knows that there is no second record. These scans are often performed on indexes on primary key columns. This would return a single row. What is an “index skip scan”? An index skip scan is used when a composite index is available but all of the fields in the composite index are not specified. A composite index is split into several indexes for the purposes of the query, and each of these indexes are then scanned for the matching value. In this table, there is an index on (first_name, last_name). The database could perform an index skip scan, even though the business_size column was not specified in the query’s WHERE condition. What is a “full table scan”? A full table scan is where the Oracle database reads the data from the table without using any indexes. This can happen even if an index exists on the table – and even if you’re expecting Oracle to use it! Full Table Scans are often thought of as the worst kind of table access, as they search on every row in the table, which can be slow. However, it’s not always the worst method. Your table is small and no indexes will help the query run faster. Your table has no indexes, and a full table scan is slow, which means your query needs to be optimised. 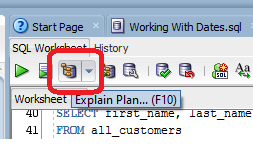 As you can see, it shows a Table Access Full line in the explain plan output. We looked at how to create an index earlier in this guide. But what if you want to make changes to an index that already exists? In this section, I’ll show you how to rename, drop, enable, and disable indexes in SQL. If you want to change the name of an Oracle index, you can do that in Oracle SQL. To rename an index, you use the ALTER command. index_name: The current name of the index. new_index_name: The new name you want to give to the index. To delete an Oracle index from the database, you drop it. This is done using the DROP command. The index_name is the name of the index you wish to drop. It’s a simple command to run – only one parameter. A handy feature of the Oracle database is the ability to disable an index. This means the index still exists in the database, along with the usage statistics. However, the index is not used in the optimiser. This is helpful if you wish to test the performance of the system without a specific index, without deleting the index. This will disable the index. Future queries won’t use this index. Any queries that have an index hint that uses this index will fail. After you disable an index, you may want to enable it. To do this, you need to rebuilt it. There is no ALTER INDEX ENABLE command. The index will be re-enabled and the usage stats will be reset. Statistics on an index are values that reflect the data used in the index, such as number of rows and unique values. The good news is that statistics are calculated automatically by the Oracle database whenever you create a new index. You add a new column to the table, and you’re using it to join to another table. You create a new table. However Oracle has a process called “dynamic sampling” which usually means you don’t need statistics on a new table. To compute statistics on an index, you can use the DBMS_STATS.GATHER_INDEX_STATS command. The COMPUTE STATISTICS parameter was deprecated in Oracle 10g in favour of this command. When I started working with Oracle databases, I didn’t really understand indexes. If I found a slow running query, my first thought was to create some indexes and see if it works. 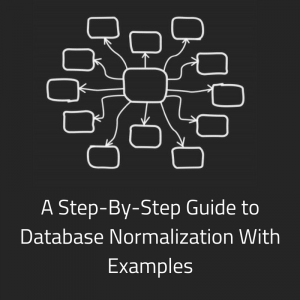 However, once you understand indexes (after reading this guide), and once you get to know your data, you should be able to know whether creating an index is a good idea or not. Consider indexing columns that are used often in WHERE clauses. 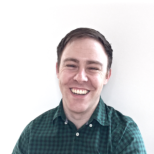 Consider indexing columns that are used often in JOIN clauses to join tables. If a column has only a few distinct values, then don’t create a B-Tree index on the column. Consider creating a bitmap index instead. Don’t create indexes on columns that are updated frequently, as this can slow down the performance of the UPDATE, INSERT, and DELETE statements. If your query uses a function in the WHERE clause, consider creating a function-based index. Indexes without the function will not be used on queries that use a function. Consider indexing foreign key columns as these are not indexed automatically. These may already be covered by the point above which mentions join clauses, as foreign keys are used in joins. Consider creating a composite index (an index on two or more columns) where all columns are used in a SELECT query (which means the data can be loaded from the index and not the table). Whenever you create your index, you should compare the advantages of the performance of the SELECT statements against the increase in processing time for INSERT/UPDATE/DELETE statements and the storage taken up by the index. Sometimes a minor increase in SELECT performance is not worth it when an index is large or causes INSERT queries to slow down. Why can’t I just create indexes on every column? If you have too many indexes on a table, or have created an index to “see if it will work”, then this can cause more problems than it solves. Oracle will need to store the data for the index somewhere, which can take up space. Sure, disk space is cheap in theory, but some databases are on shared servers and have limited space. Also, every time a row is inserted, updated, or deleted, the index needs to be updated. This can cause these operations to run slower, which can slow down your whole system. So, it’s much better to be specific and particular about which indexes you need to create. Two factors that really help with determining this are cardinality and selectivity. 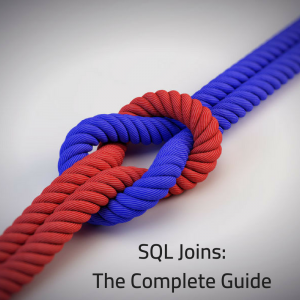 Cardinality and selectivity are two terms that are often used in the SQL world when working with indexes. I’ll explain what they are and how they are different. Cardinality is the number of distinct values in a particular column. Selectivity is the ratio of cardinality on an indexed column to the total number of rows in a table. Cardinality could be a value from 1 (if all values in a table for a particular column are the same) up to thousands or millions. Selectivity will always be between 0 and 1, as it is a ratio. For the business_size column index, the cardinality would be 3, as there are 3 distinct values (S, M, and L). The selectivity would be 0.6. This is calculated as cardinality/total rows = 3/5 = 0.6. How does this relate to indexes? A selectivity value of a query closer to 1 is said to have high selectivity, and closer to 0 is called low selectivity. If a query has a high selectivity, then it is normally fast to select using an index. If a query has low selectivity, it is often not worth the time to use the index in the query, and Oracle may not use it. So, how do you ensure you have high selectivity? You can add a composite index, which is an index on two columns instead of one. This will ensure the index has more unique values, which has high selectivity. So, this guide has introduced you to all you need to know about indexes. It has explained what an index is, showed the syntax of creating indexes, explained the different types of indexes, and how to modify the indexes. In most cases, you’ll be creating b-tree indexes. Bitmap indexes can also be useful, and function-based indexes are helpful if you use functions or expressions. Don’t create indexes on every column as it can slow your database down. Understand the queries you need to run regularly, and optimise around those. 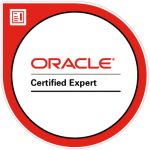 Do you have any questions on indexes in Oracle? Leave your comments below! Lastly, if you want to improve your Oracle SQL skills, and get a bonus PDF file with a diagram showing you when to create different types of indexes, enter your email below! Special thanks to Jeff Kemp for some corrections and feedback on this article. You can read his Oracle blog here. I have been going through so many articles regarding the indexes but no articles satisfied either it was not clear.One of the best and clear article which explains about the Indexes. Thanks Sujith, glad you found it useful! Always Know When to Create an Index With The "Index Creation Flowchart"